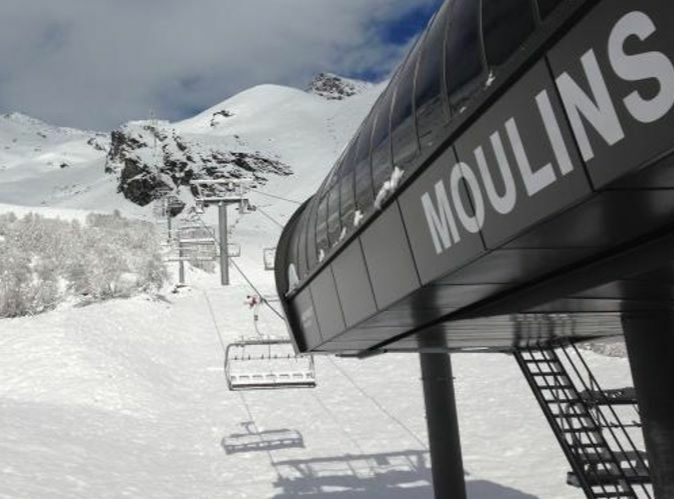 On 1 February 2019, DSR (Domaine Skiable de la Rosière), the operating company of the French side of the "Espace San Bernardino", officially inaugurated the two detachable 6-seater chairlifts Les Moulins and Mont Valaisan. Built by Bartholet and put into service at the beginning of December 2018, the two successive lifts with a total length of 2,500 m offer skiers a new, very attractive and technically challenging terrain. 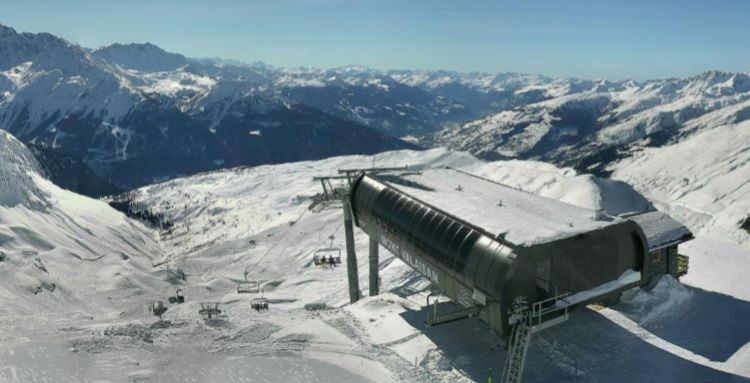 The new chair lifts have opened up five new pistes. The skiers can reach the highest point within the "Espace San Bernardino", the summit of Mont-Valaisan at an altitude of 2,800 metres, and benefit from a great snow guarantee from December to late April. Thanks to the good progress of all the construction works, the facility went into operation on schedule at the start of the season. The two 6-seater chair lifts are technically state-of-the-art. This also includes the possibility of parking the vehicles using the electric tyre conveyors set up for acceleration and deceleration. If there is a risk of icing up at night, the rope can thus continue to rotate continuously or intermittently without locking out the chairs or putting them into circulation. This allows a very user-friendly use of the system. Both the Les Moulins chairlift and the Mont Valaisan chairlift are equipped with perforated backrests. These Bartholet chair seats are extremely wind stable and guarantee high availability during stormy days. - Height of valley station: 1939 m. a.s.l. - Top station height: 2461 m. a.s.l. - Height valley station: 2460 m. a.s.l. - Top station height: 2804 m. a.s.l. 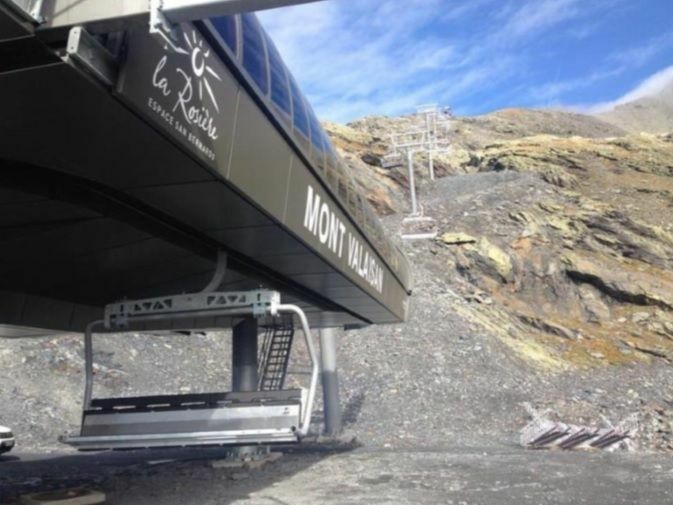 In Le Corbier, France, Bartholet built a high-performance chair lift with a capacity of 3000 people per hour. 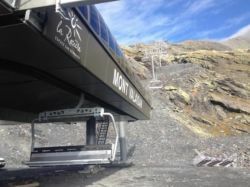 The system runs at 6 m/s and replaces two older chair lifts on the 1700 m long route, which no longer met the requirements. As requested from the customer chairs in Le Corbier are equipped with an automatic locking bar. As drive the Bartholet Direct Drive in the mountain station, was installed for the first time in Le Corbier. The testing phase of the newly developed system has been completed and has also convinced the operator in all respects during the first three months of operation. A major advantage of the direct drive is that, compared to the conventional drive, it is considerably quieter in operation and requires very little maintenance - decisive arguments for further optimising the efficiency and environmental friendliness of a ropeway. - Height valley station: 1695 m. a.s.l. - Height top station: 2266 m. a.s.l.